City of Dreyfus. Central Kentucky Wildlife Management Area. Muddy Creek Rd, Arthur Jackson Ln, and State Hwy 3376. Some property owned by Leonard Sparks, William Lakes, Willard Lake, and Roy Robinson. 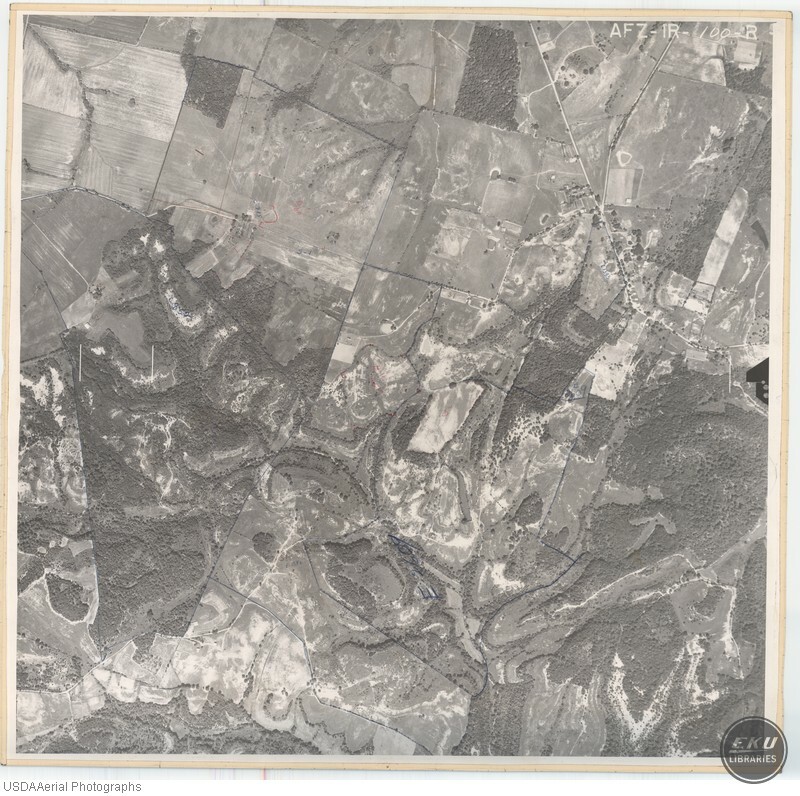 USDA, “Southeast Madison County,” Digital Collections, accessed April 19, 2019, https://digitalcollections.eku.edu/items/show/762.